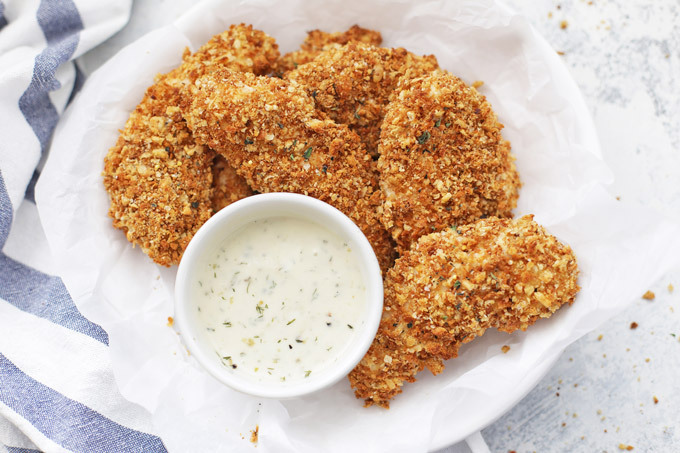 Gluten Free Crispy Chicken Tenders – These oven-baked chicken tenders are gluten and dairy free with a fabulous crispy crunch. A favorite for kids and grown-ups alike! This post is written in partnership with Sprouts Farmer’s Market. All opinions are my own. I know I’m not the only one looking for meals my whole family loves. Sometimes, I find that going back to the classics is a great way to spark creativity and inspire my kids to try something new! 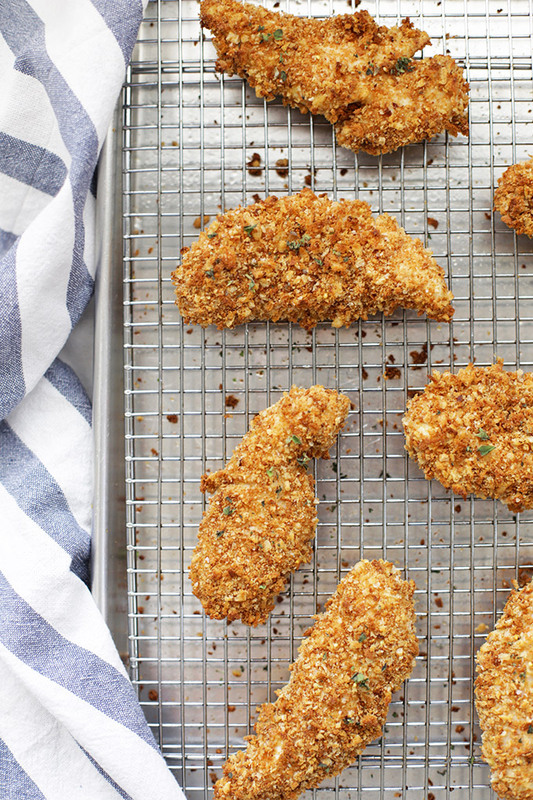 These gluten free baked chicken tenders are the perfect example. The recipe is a classic you can come back to again and again. 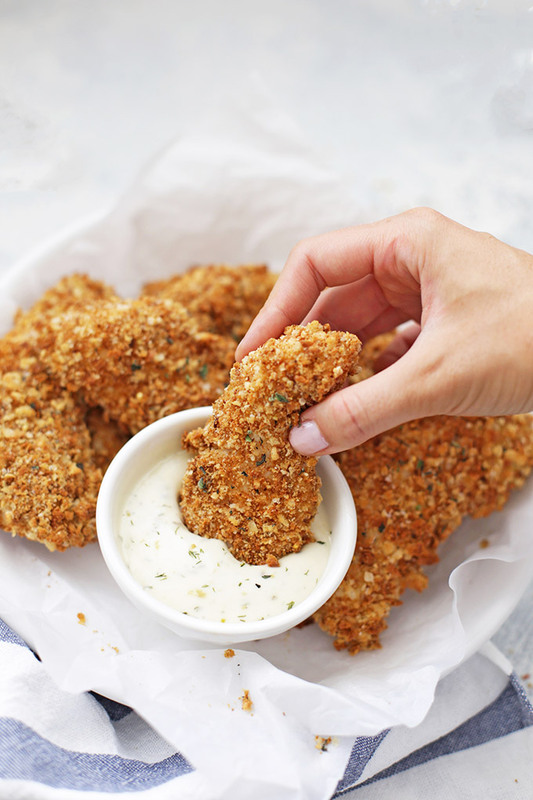 With the basic technique for these crispy chicken tenders in your back pocket, there are so many ways you can reinvent and reimagine the flavors. It’s a go-to recipe SURE to be a family favorite. I’ve got three tips that make these the BEST baked chicken tenders we’ve ever tried, plus a TON of ideas for keeping the flavor interesting. While you might have relied on panko before going gluten free, I’ve found that I can STILL get that awesome crispy texture by toasting my breadcrumbs before breading. 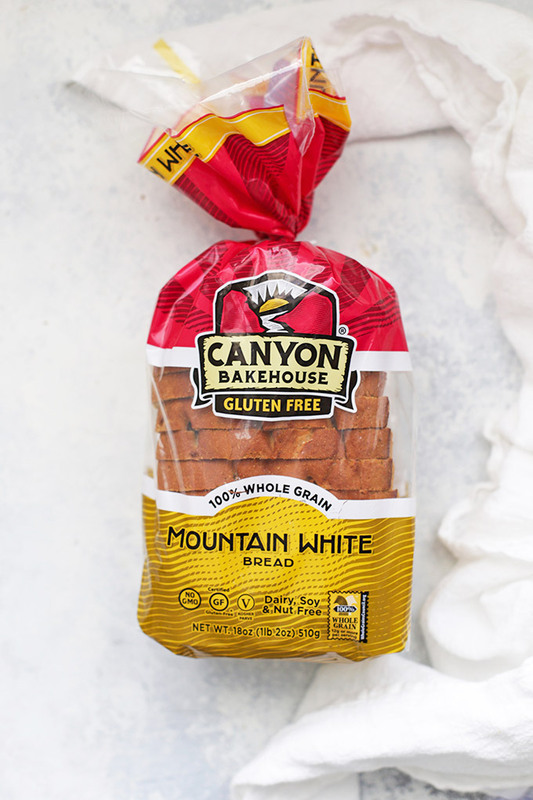 I start with Canyon Bakehouse Bread (my FAVORITE GF bread for taste and texture). The bread is so good that I hate letting any part of it go to waste. We ALWAYS save our ends for occasions like these (though we often use fresh slices too, when the craving hits!). Ends and stale pieces can be used for mini meatloaves, meatballs, homemade croutons, and crispy coating for recipes like this! To speed things up, you can leave your bread out ahead of time for a few hours to get hard, or you can simply toss the slices straight into your food processor. Pulse until everything is pretty uniform, and you’re ready to go! 2. Make a Better Batter. The traditional method for battering is to dredge in flour, then dip in an egg mixture, then dip in bread crumbs. I’ve found that combining the first two steps by adding flour to the egg mixture gives the chicken a better coating (and saves a step!) for me. It also REALLY helps the bread crumbs stick well, which makes for a lovely crispy coating. Lastly, rather than baking your chicken tenders on a baking sheet, I like to first put a cooling rack/baking rack on top of the baking sheet (be sure yours is heat safe and doesn’t have any kind of coating on it). This allows air to circulate all around the chicken, which means no mushy spot sticking to the baking sheet when they come out of the oven. Instead, you get 360 degrees of awesomely crispy coating! What if I’m Not Gluten Free? The same method would work beautifully with wheat-based breads, too. No other adjustments would need to be made. This recipe is included in the new 7 Gluten-Free Recipes to Get Cookin’ guide from Sprouts. 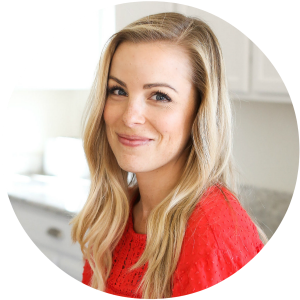 This free guide features tips for going gluten free, stocking a gluten free kitchen, and classic recipes to get you started. It’s perfect for gluten free beginners (and long-timers!) and anyone cooking for a gluten free loved one. To Serve: Your favorite dipping sauce–honey mustard, ranch, BBQ sauce, ketchup, etc. Start by making the bread crumbs. Pulse bread in a food processor until you have fairly fine crumbs. Spread out on a baking sheet and spray lightly with cooking spray/spray oil. Bake crumbs at 350 degrees for 10-12 minutes, stirring every 3-4 minutes for even browning. Remove from oven and transfer to a shallow bowl or plate. Make batter, by whisking together egg, mayonnaise, mustard, gluten free flour, salt, pepper, garlic powder, and onion powder. Whisk until smooth and place in a shallow bowl. If possible, place a metal cooling/baking rack on top of a baking sheet. This will promote even browning/crisping. If you don’t have a rack like this, spray your baking sheet with cooking spray or oil. Batter your chicken one piece at a time by first dipping into the batter to coat well, then rolling in the breadcrumbs. Place on the baking sheet (on top of the rack if possible). Repeat with remaining chicken until all pieces are coated. Lightly spray the top of the chicken with another round of cooking spray or oil. Bake at 400 degrees 12-15 minutes, or until chicken is completely cooked through. 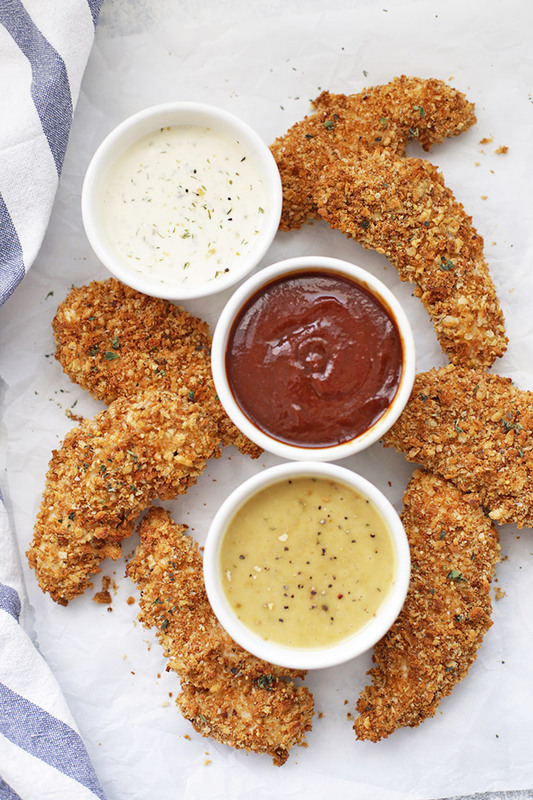 Serve with your favorite dipping sauce—honey mustard, ranch, barbecue sauce, ketchup, etc. These chicken strips look yummy. I’ll be trying this recipe soon. I make fresh bread crumbs using a blender. It works for soft bread crumbs (use fresh bread), or dry bread crumbs (use dry or toasted bread). I’ve also read that you can use a box grater to make dry bread crumbs, starting with toasted bread. Sturdy breads (“Farmhouse” or other hearty white or whole wheat breads) make the best crumbs IMO. Ellen – I’ve tried it in a blender too. Works great! I’ve never tried it with a box grater, but love the ease of using my food processor or blender. I’m sure those breads make great crumbs! This has been a great gluten free solution for us now that those breads aren’t an option. These look amazing!!! I can’t wait to try these and that homemade ranch of yours! They’re SO GOOD! 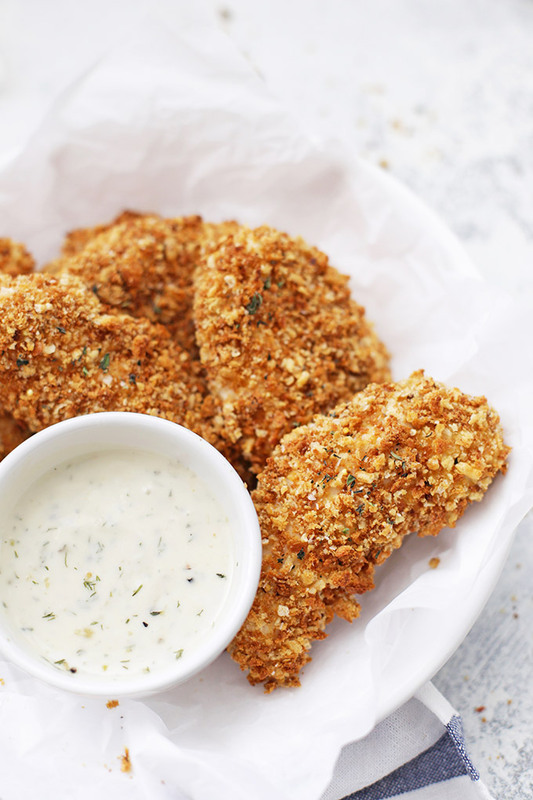 I love the crispy-crunchy crust and dipped in ranch…they’re amazing! Miss you. Let’s talk soon! These chicken strips were amazing. My very picky three year old ate them up. I used Ezekiel bread instead of gluten free and I used Primal kitchen chipotle lime mayo for a little extra zing ( not too spicy either). So so so good. Thank you for a wonderful recipe that I will be using again and again. 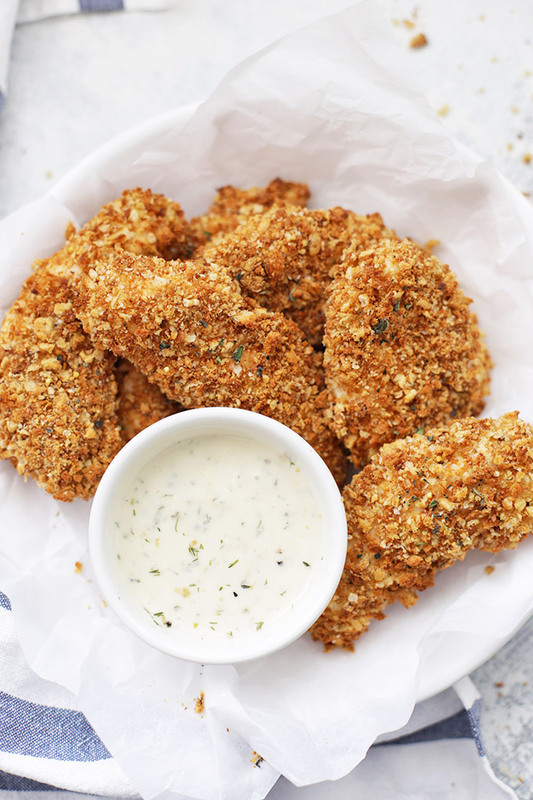 Best GF baked tenders. Thanks for the recipe – my husband loved it! Lia – THANK YOU! I’m so glad you enjoyed them! They’re a favorite around here too! Made this for my newly gluten free dairy free son and he loved it. Shallow fried in oil but will bake next time. I’m a vegetarian so I did not try, but they looked so tempting. Thank you so much. I’m so glad he loved it! Thanks for sharing your review! I’m making this the day after Thanksgiving for my GF cousin and her 7 year old daughter. I would like to make them either today and reheat tomorrow or make early in the day and reheat for dinner. Do you think that would work out? How do you recommend storing and reheating. If you think it will be too dry please tell me and I will make fresh. I want them to be the best they can be. Thanks for your recipe Emily! Hopefully you will be able to respond quickly, I do however know it is Thanksgiving and I hope you have a lovely one. I will understand if you don’t even get a chance to look at this message until way after the holiday. Emily – Happy Thanksgiving! For best results, I’d recommend making them fresh. They do dry out a touch upon reheating, but will taste great, too! I hope you all love them as much as we do! These are me and my fiancé’s fave!! Yay. 5 stars!